I hope you are all very well! 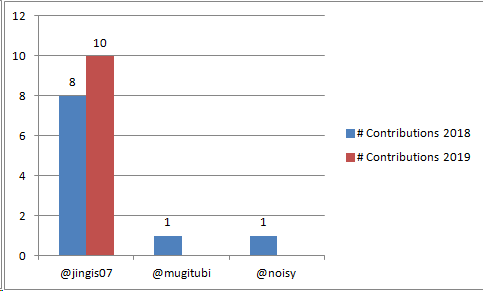 This is the fourth Visibility Report for the New Year 2019 and the 7th one created by me. This report is for contributions during the time frame 7 February until 14 February 2019. We are having one contributor who is steadily posting about his promotions via Facebook. He has expressed a great interest in promoting Open Source in his Country and I am happy to see the improvements to the ads created and promoted! If you have a Facebook page or twitter account, you can promote whitelisted open source projects via promoted/paid posts. If you have social media pages with more than 10.000 followers, you can write about open source projects and promote them to your followers. If you are reading this report and would like to know more about Visibility Contributions, scroll to the end to read more about Utopian and about the Visibility Category! 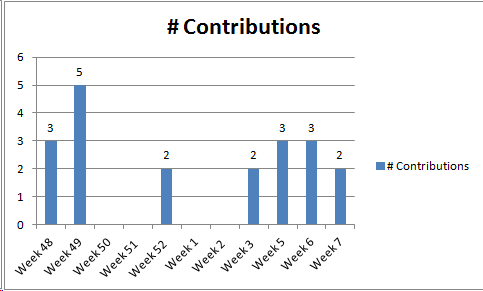 During the previous week there were 3 contributions in total. @jingis07 has promoted 2 open source projects via his facebook page. (.) hledger - hledger is an enhanced, well-documented reimplementation of plain text accounting. (.) kodi - * Kodi is an entertainment hub that brings all your digital media together into a beautiful and user friendly package. It is 100% free and open source, very customizable and runs on a wide variety of devices. In all cases there was more than 10.000 reach to the promotions. Apart from the reach created and clicks to the links (more than 2%), there was also interaction to the ad messages (likes) and a message was actually received from a potential user asking for more information. This week it was evident that the user has devoted more time in investigating about the projects and in preparing the reports. 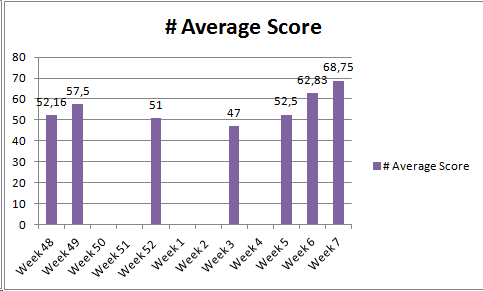 The average score has reached a surprising 68.75 and I hope it will be maintained and, why not, increased! In my laste weekly report I expressed some thoughts about making the Visibility Category more .. visible, so that we can have more people onboard. I have found and contacted some users on steemit (users and companies who specialize on marketing and have or manage facebook pages). So far I have received no replies, but this will be an ongoing effort, so stay tuned for more. If you are reading this and are interested in more information, please do not hesitate to contact me! How to Create a Visibility Task Request Click here. Please read here some useful guidelines for promoting open source projects via Instagram. Please read here how to create an appealing twitter profile. What is the Visibility Category? Utopian is a Social Platform, aiming to empower professionals for contributing to the Open Source Movement. 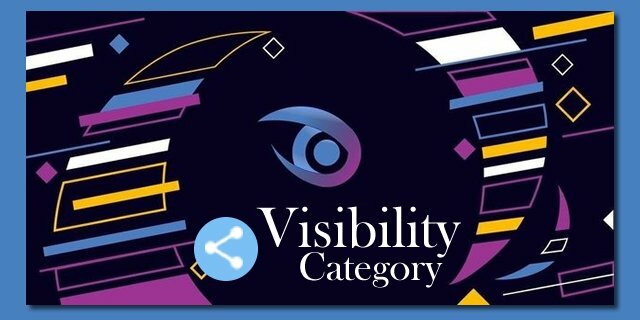 The Visibility Category aims to shed more light to the whitelisted Open Source Projects and to attract the general attention of end users around the world. As stated at the website, Open Source is free, common property and developed by volunteers around the world and available for everyone. Contributions in the visibility category are (1) paid search engine and display ads placement; (2) paid social media ads; (3) posts to social media accounts with at least 10,000 unique followers. Open Source Software often runs in our computer, phone or tablet and its development relies on collective intelligence. All this work is done by the developers for free! Utopian educates, motivates and rewards everyone who contributes to Open Source Projects, provided that certain guidelines are being met. You can click here and select Visibility to read the current guidelines (new ones are being worked upon as we speak). If you have a Facebook page or are very active with a large follow on social media platforms, feel free to take a look and contact me about how you could contribute! Click here to read more about Utopian!